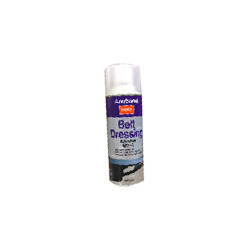 We are the Leading Distributor of Anabond Belt Dressing Spray BD3. Anabond Belt Dressing Spray, BD-3 prevents belt slipping, Increase pulling power & efficiency of power transmission belts. Protects V-belts & other rubber parts from dust, heat, chemical fumes. It optimizes the performance of belt drive & extends the life of the belt. It eliminates screeching noise of automobile fan belts such as Ac fan belts. Industrial drives, farm machinery, automobile fan belts, power tools, marine equipments, conveyors etc.